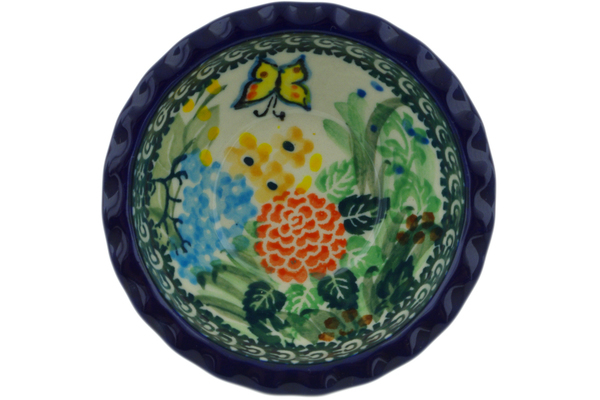 This Polish Pottery scalloped bowl (item number H3641G) is made by Ceramika Artystyczna factory in Boleslawiec, Poland. 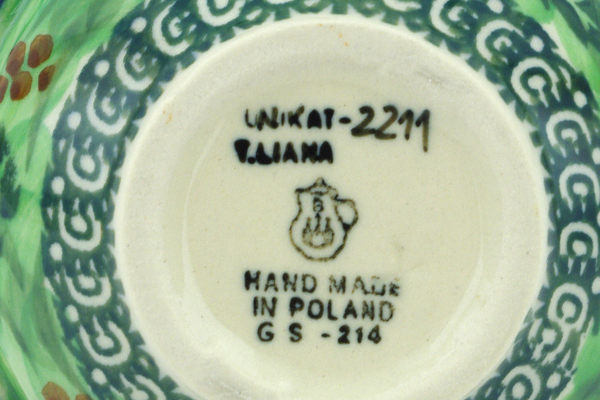 It is 1.2" high and measures 3.5" by 3.5". It holds 3 ounces of fluid. 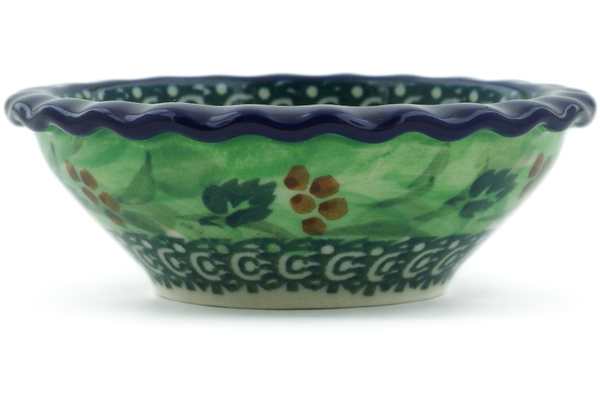 The weight of this scalloped bowl is 0.19 lbs. 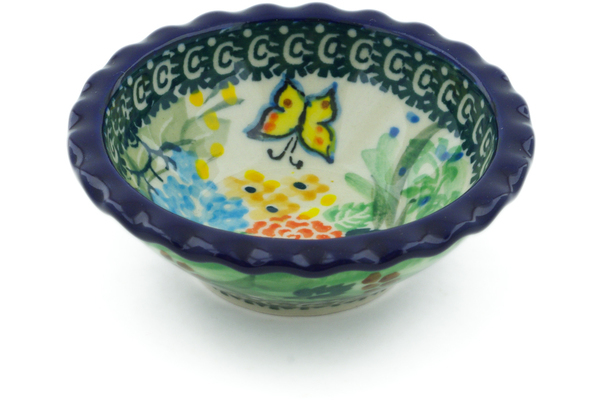 The price of this scalloped bowl is $25.95 and if your total is over $99 you will get FREE SHIPPING.